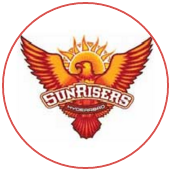 Sunrisers Hyderabad rode on a counter-attacking second-wicket partnership between Shikhar Dhawan and Moises Henriques to outplay Mumbai Indians and keep their playoff chances alive. 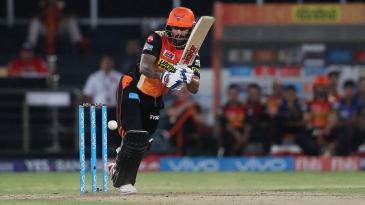 Dhawan and Henriques walloped a stand of 91 that came off just 11 overs as Sunrisers razed a target of 139 with 10 balls to spare and maintained their stronghold at the Rajiv Gandhi International Stadium with their sixth win in seven matches at the ground. 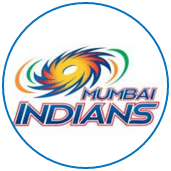 The win was set up as their bowlers exploited a sluggish pitch to stifle Mumbai. 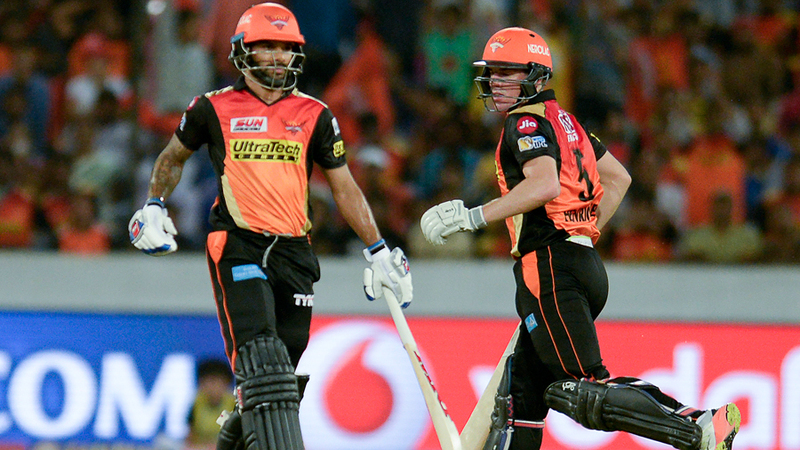 That the visiting team was able to recover to 138 was down to their captain Rohit Sharma, who played an innings of class and poise to give his team a chance.